Although its plot is clichéd and often preposterous, Love Actually is such enjoyable holiday fare that what we would normally see as flaws, actually make the experience a little more fun. 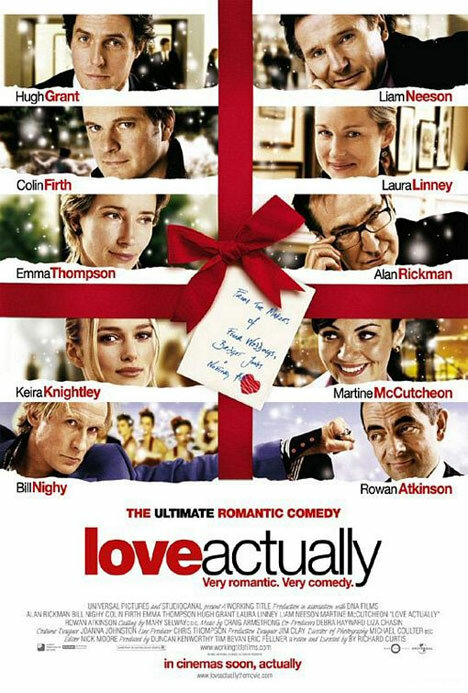 Unbelievably charming, expectedly funny and surprisingly touching, Love Actually is a great romantic comedy that just happens to be set during the holidays. The eclectic soundtrack blends traditional Christmas songs and British hits, both of which go perfect with the film’s predominantly light tone. The ensemble cast is a “who’s who” of Britain’s stars, where Emma Thompson, Martine McCutcheon, Liam Neeson, Thomas Sangster, Bill Nighy and (American) Laura Linney stand out.